Tukutana's Kipaji Project brings this word to life by helping East African women develop abilities and cultivate talents through our Sowing Change program. 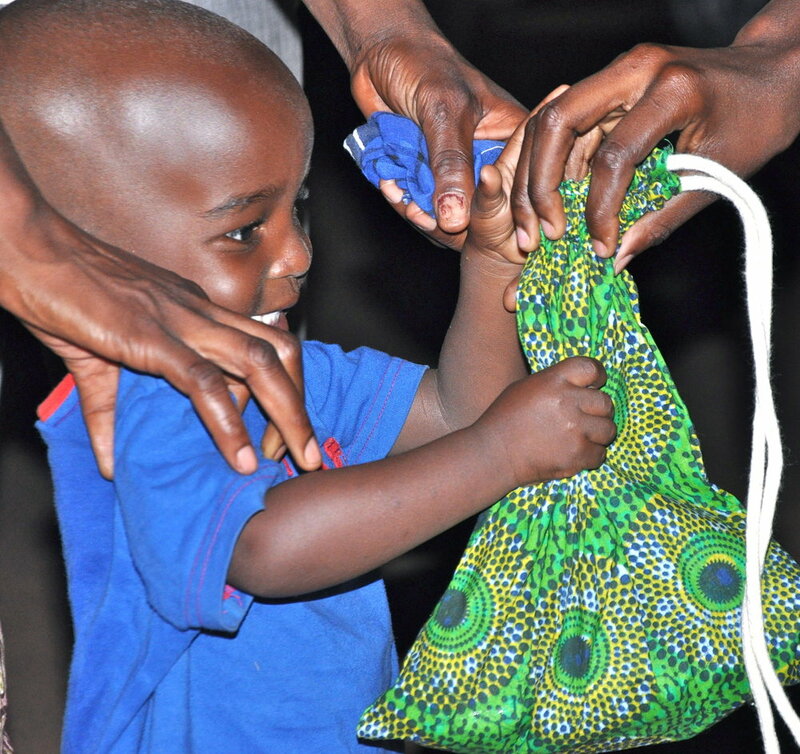 Many of the ladies in our program choose to learn sewing skills so they can earn income to feed, clothe, and educate their children. 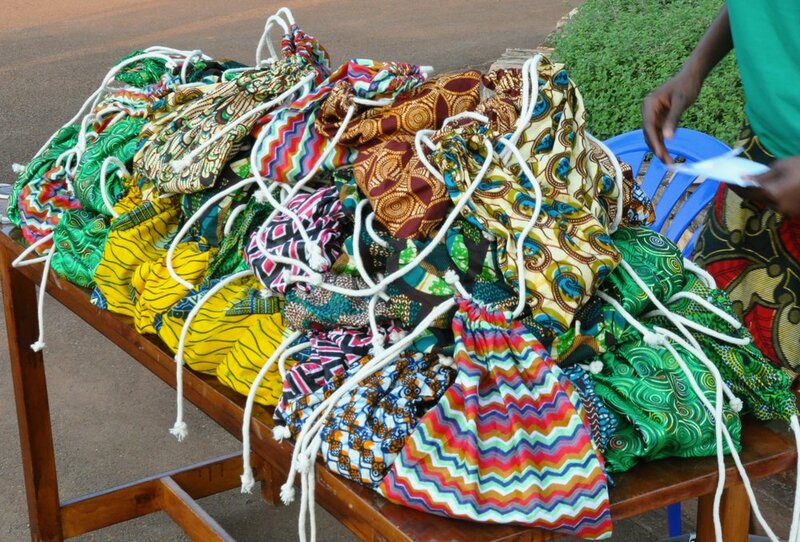 Seamstresses, in training, practice by making drawstring bags out of colorful African fabrics called Kitenge. The are bags are filled with school supplies, soaps, toothbrushes, etc. (gifts/presents) and donated to ministries, orphan homes, community-based projects, hospitals, villages and schools across Uganda. Tukutana staff and volunteers provide Kabaji Project beneficiaries with hygiene and other trainings pertinent to the gifts they receive. Thanks so much for the wipes and formula, we really needed them. Israel (the awake kid) was born to a former street girl who was rehabilitated and on a visit home was raped- Israel is the only good thing that came from that event. His mum is now 16 and is back in school and so happy. She visits him on the weekends. Shaban (the sleeping one) lost his mum last month. He is now a total orphan (both parents are deceased) but has young relatives who love him very much. We will settle them together once they finish school. Daily at Dwelling Places we see stories of fear and desperation turn into stories of hope and inspiration - thanks for being part of that! There are short, one time opportunities and ministries that are truly unique and we all get really excited about being involved. During our time in Uganda, we got to take part in such an experience with an organization called Tukutana. 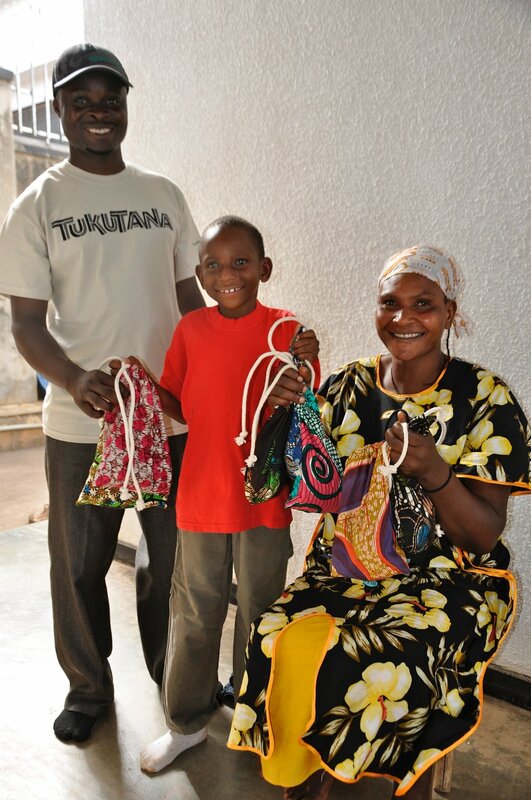 One of Tukutana’s ministries involves the entire globe and the partnership of many groups of peoples. Here’s how this ministry happens. At every hotel, there are complimentary shampoos, soaps, lotions and other objects that are available. 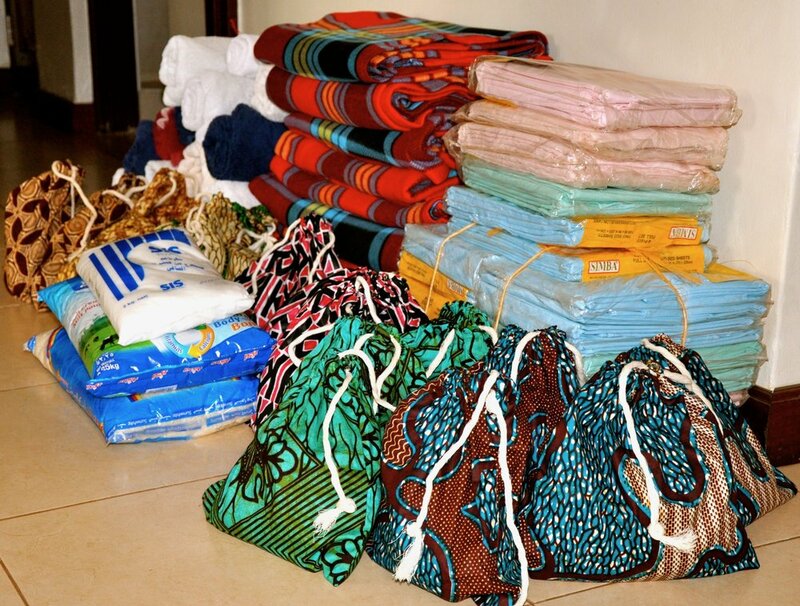 The crew members of a major international airline have partnered with Tukutana and, while they stay at hotels around the world during their layovers, they collect these items. Everything is kept in Dubai, UAE, until they come to Uganda, where they drop off the items at the crew members’ hotel. The hotel, where the crew members stay, also partners with Tuktuana and stores everything until Tukutana staff pick the items up. Tukutana then distributes the items to individuals in need or groups, such as us, who have a specific location they desire to bless.